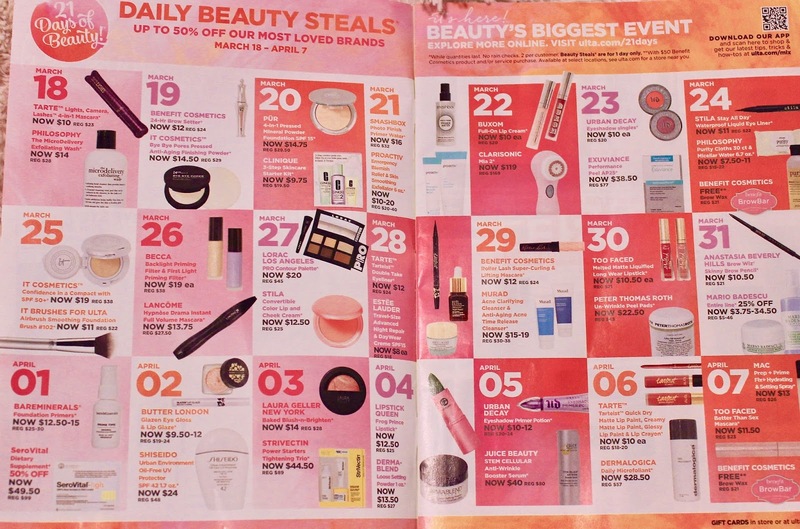 Ulta's 21 Days of Beauty Breakdown: The best steals, what to stock up on, and what you NEED to try! Ah, it's my favorite time of the year. 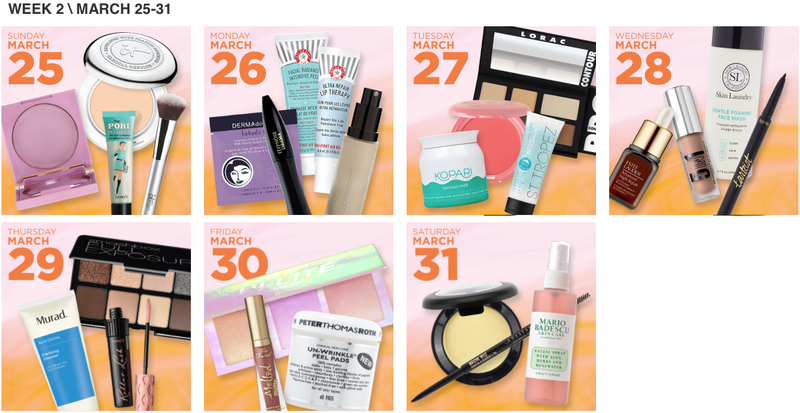 Spring is amongst us and my wallet is ready to be raking in cheap makeup. Yes, that's right. 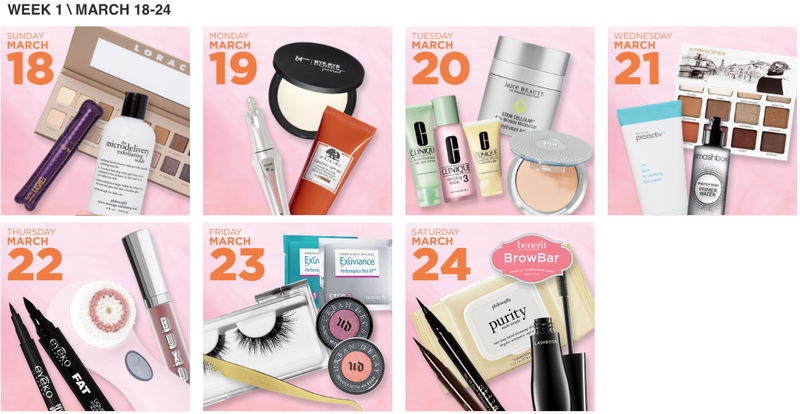 Ulta is having their 21 Days of Beauty event soon and I could not be more excited! 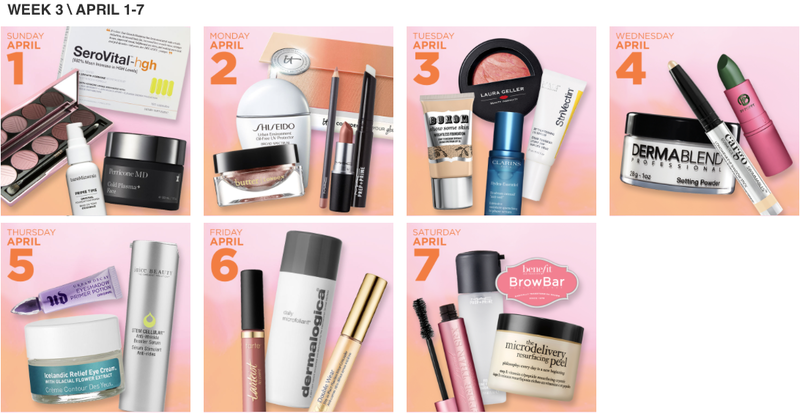 Sale begins Sunday, March 18th until Saturday, April 7th, 2018! 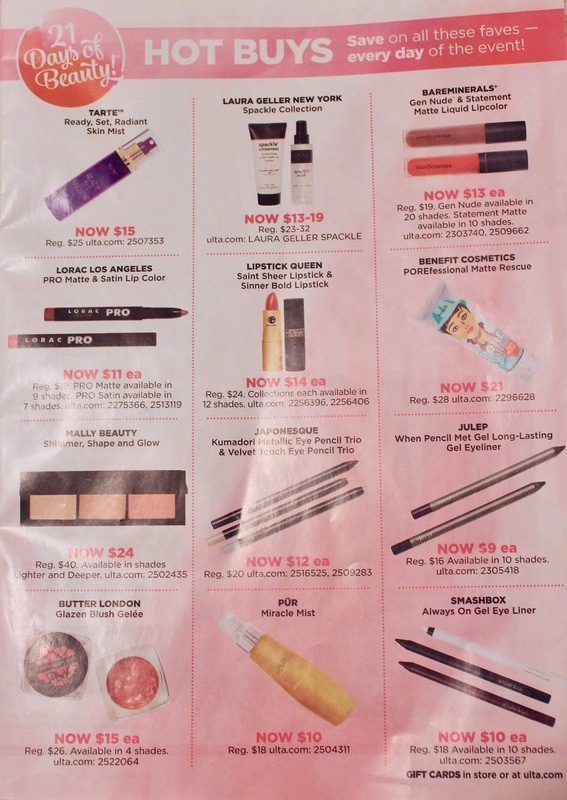 Although Ulta hasn't released what exactly the deals are online, they did just send out an ad in the mail with the exact $ off and percentage discounts. They also have specific items that are on sale for the full 21 days. 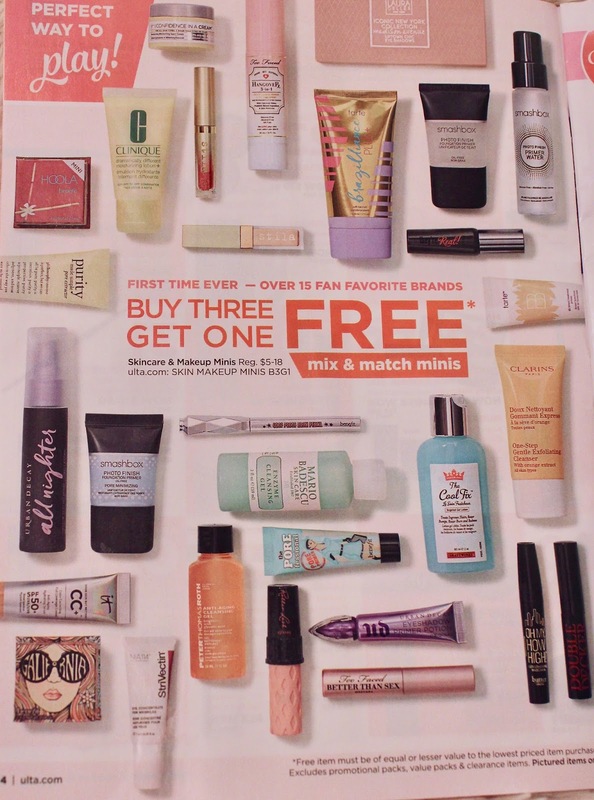 If you don't get Ulta's ads in the mail, luckily for you I snagged a few pictures of mine below! 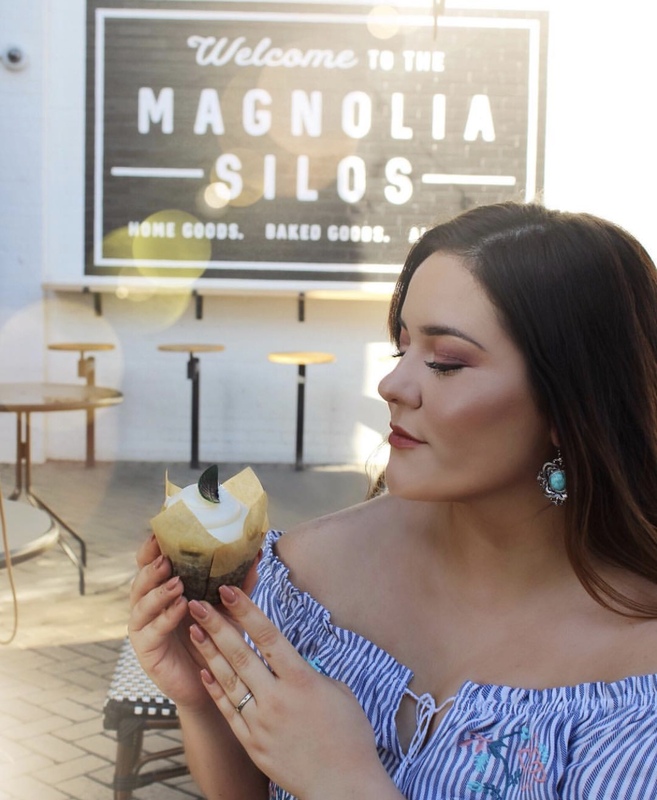 If you want to see my recommendations for products I LOVE that will be in this sale, watch this video which I also uploaded onto snapchat and Instagram! THIS IS SUCH A GOOD POST!!! Thank you for putting your snaps on youtube so I can watch back when the sale starts... genius! Short, sweet, to the point. I like it! I didn't know about this sale so I am really excited you talked about it!! 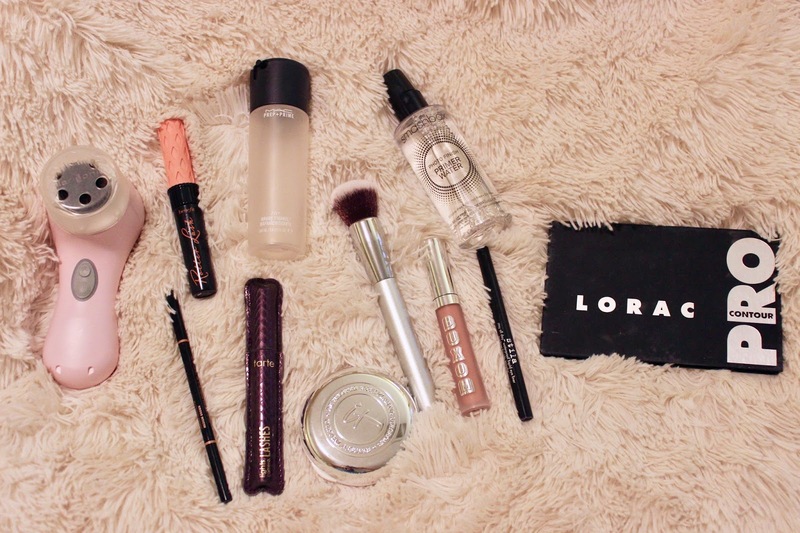 For some reason your voice is so therapeutic and I love when you talk about makeup. Need more of these!! see this web site, it consists of valuable Information.